Clearly mark the children’s boxes so you can find them quickly once they’ve been moved and unpack their rooms first. This gives them somewhere to settle and play, out of the way, while you unpack boxes for the rest of the house. If you’re able to leave the children with friends or family, while you carry out the move, it’s wise not to pack all of their toys. Instead, give them some of their favourites to play with first, then in the event that you don’t manage to unpack their rooms, you can still keep them distracted. A friend of mine is moving tomorrow and she has booked herself into a hotel for the night tonight with her children so her husband can finish the packing and moving everything into the moving company vans without the children being effected by seeing everything going and also getting in the way. Prioritise the rest of the unpacking to help ease any unnecessary stress, what you use most should be what you sort out first. It’s even worth making up a box of essentials (kettle, teabags, snacks, cutlery, etc. ), which you can get access to quickly when you’ve moved. Try making the days that follow your house move fun, let them explore and get comfortable in their new surroundings. Living in a new home can be quite overwhelming for anyone at first, so make their first few days there as painless as possible, help them settle and lessen the stress for you. I know when we have talked to Lucas about moving, he has thought of it as a holiday and always comes back to the point of asking when we will be back in his house. It’s the only home he has known for nearly 4 years and in his words ‘I love my house, I don’t want to leave it’. I’m sure once he sees that all his belongings are in the new house and his routines aren’t changed, he will be absolutely fine and soon forget about where we live now. This is very handy and we hope to move some time this year and good to get some handy tips. I think the tips in this post are invaluable. I remember moving when I was 5 years old and eating my breakfast on top of our moving boxes. One of my earliest memories. Marking the boxes clearly will save you more efforts in finding your stuff later. Love these tips! I can remember moving when my youngest was just a few months old. We opted to hire a removal company to physically move the boxes and furniture – certainly made life easier. 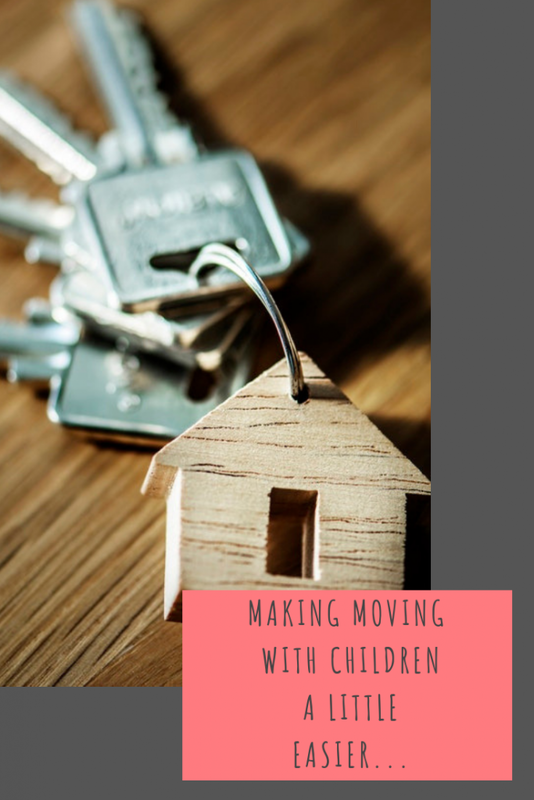 Although I don’t have kids, I’ll definitely be using some of these tips when I move later this year. Making up a box of essentials is such a great idea.